Thank you for visiting FoxesMusic.Com! Your full-service sheet music, instrument sales, music lessons, and choral music store. 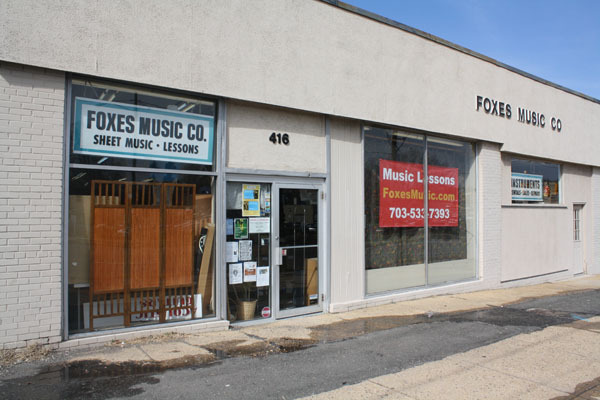 Based in Falls Church, Virginia, we have been serving metropolitan DC since 1953 with the largest selection of printed music in the area, school band and orchestra instrument rentals and sales, private lessons, and an extensive selection of guitars, amplifiers, keyboards and percussion. Visit SPRING INTO BELLS page or click HERE. A workshop tailored to meet your ringing needs! Certain Instruments, accessories and music listed on our website do not represent what we currently have in our inventory. We carry many brands and publishers that are not listed and do not stock certain brands and publishers that are. A new website is presently under construction. Please call us for more information. We apologize for any inconvenience. Foxes Music! Your Full Service Music Store.